As most of you are already aware, I spent November participating in NaNoWriMo (National Novel Writing Month). For the past three years, I put blogging on hold during this time, only to feel overwhelmed about getting back on track each December. Right now, I’m reading the finale to the Miss Peregrine’s Home for Peculiar Children trilogy, Library of Souls by Ransom Riggs, as well as Beautiful You by Chuck Palahniuk for my real-life book club. I’ve also had the chance to complete God’s Debris by Scott Adams and watched “The Hunger Games: Mockingjay, Pt. 2” in theaters, so stay tuned for all my reviews, which I’ll be posting soon! 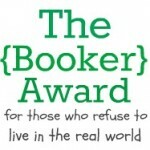 This post, however, is going to cover the tidbits of literary news that I bookmarked last month. Some of these you’ve probably already come across yourself, but if you’re like me, life can get so hectic that you simply can’t keep up with all the headlines. So let’s catch up together! Want some artistic inspiration? Check out the Book Cover Archive, which categorizes a plethora of books by their cover designs. Seeing them all side by side makes you appreciate the creativity that goes into them! This BuzzFeed quiz is titled, “The Hardest Book Cover Quiz You’ll Ever Take,” but I still scored 17 out of 22! Not too shabby! Try it out for yourself! One of my favorite manga, Death Note, written by Tsugumi Ohba and illustrated by Takeshi Obata, is coming to the big screen, but I can’t say that I’m looking forward to it. Hollywood continues to perpetuate its lack of racial diversity by pathetically white-washing Death Note’s Japanese characters. Much to many fans’ disappointment, Light and Misa will be played by Nat Wolff and Margaret Qualley respectively, although I imagine that their names will be changed to something as bland as these actors. The white-washing continued in the blockbuster of the season, The Martian, adapted from the novel by Ridley Scott. In another slight to the Asian acting community, a white actress was cast as Korean scientist Mindy Park, and a black actor took the place of an Indian NASA director. Seriously, Hollywood, STOP with this nonsense! The Merlin Saga by T.A. Barron finally has a screenwriter: none other than Philippa Boyens, who worked with Peter Jackson on the LOTR trilogy! As a child, I read most of this series when the books were published, beginning with The Lost Years of Merlin in 1996 and ending with The Great Tree of Avalon in 2004. Disney better do this movie right! Philip Pullman’s His Dark Materials gets another chance to prove its genius, this time in a drama series on BBC One. After watching the outrageously bad American movie version, which I’ve attempted scrubbing from my memory, I’m ecstatic to hear that the U.K. plans give this story the long-form development on TV that it deserves. Lastly, Margaret Atwood, the literary celebrity whom I had the opportunity of a lifetime to meet, recently announced that she’s writing her first graphic novel series, Angel Catbird. With a superhero that’s part-cat and part-owl, the story sounds utterly ridiculous, but knowing Atwood, there’s much more to it than fur and feathers. That’s all for now! Let me know what you think about these news stories, and feel free to send me more that I might have missed! 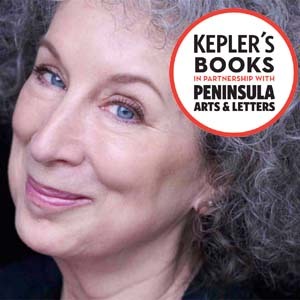 Tomorrow I have the opportunity of a lifetime to meet Margaret Atwood, renowned author of The Handmaid’s Tale and The Blind Assassin, which was my book club’s selection for September. There’s so much to unpack in this novel, but I believe what makes it so successful is its structure. With quite possibly the best first line in literature, “Ten days after the war ended, my sister Laura drove a car off a bridge,” the story of sisters Iris and Laura Chase is given an immediate sense of intrigue. Set during the Great Depression and WWII, an elderly Iris recounts her life, describing her tumultuous relationships with her family: her allegedly mentally disturbed younger sister Laura, her alcoholic father, her wealthy but emotionally detached husband, her drug-addicted daughter, and estranged granddaughter. As if the plot wasn’t already crammed enough, Atwood alternates these narrations with a novel within a novel. “The Blind Assassin” is not only reflective of the enigmatic symbolism, it’s also the title of a science fiction story created by two unnamed lovers on the run. It’s up to the reader to figure out who is the real author of this book, a feat which lends to the larger climax of Atwood’s novel. I will admit that the pacing of this book starts off very slow, and the science fiction chapters do not seem well integrated with Iris’s chapters. 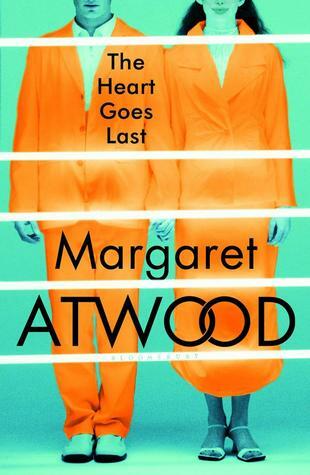 I’m not surprised that a couple people in my book club gave up after 50-100 pages, because Atwood’s style is all about character development and delayed gratification. If you can stick it out, you’re rewarded with a phenomenal story. I finished reading the last 200 pages in just three days and thoroughly enjoyed how the pacing accelerated into its dramatic conclusion. I don’t want to give away too much, because this is a beautifully written book where every detail is a clue to understanding this puzzle, from the interspersed newspaper clippings right down to each article of clothing that is worn. 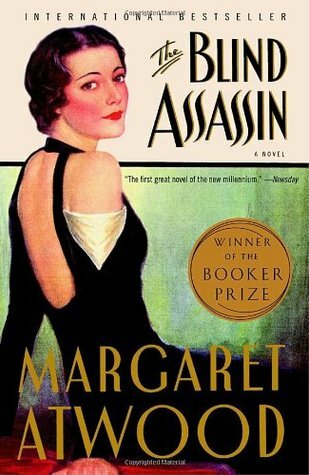 It’s no wonder why The Blind Assassin won the Booker Prize and TIME’s Best Novel of 2000: Atwood has a wit that is unmatched, and this book is exactly what literary fiction should be. Two thumbs up from the real-life Book Club Babes! My 2015 Goals Update…and Some Exciting News! We have less than five months left in 2015, so when I look back to my top ten goals for the year, I wonder…how’s my progress so far? 1. Read 20 more books. I’m making fantastic headway into my annual reading quota, since I’m already on my 15th book of the year. According to Goodreads, I’m two books ahead of schedule. Right on! 2. 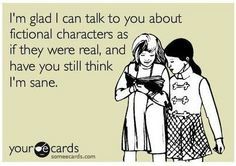 Read more fan-favorite romance novels. I’ve completed Jennifer Crusie’s Bet Me, but unfortunately I’ve been distracted by other genre at the moment. 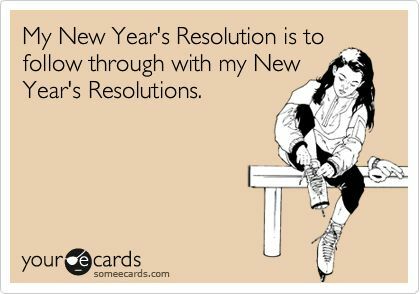 I’ve received some wonderful recommendations, however, so I hope to cross a couple more off my list before 2016! 3. Read more classic literature. My progress toward this goal is pretty dismal, to be honest, considering that I started Beowulf months ago and put it on pause for less dense reading. But I will definitely finish it…eventually. 4. Reach 65,000 total blog views. I’ve blown this goal out of the water by already reaching my stretch goal of 70,000 total blog views! I don’t post as often as I used to but I’m grateful for all my supportive followers for sticking with me! 5. Create more vlogs. Unfortunately, I haven’t had time to vlog since I discussed my favorite books of 2014, but I plan on producing another video in late September. After finding my brother Nick Jarrett some significant freelance work, I believe that he owes me a favor! 6. Research monetization. I haven’t made a single ounce of progress on this goal, but I’m not ashamed. I never went into blogging to make money, so it doesn’t bother me one bit. When I’m ready to take this blog to the next level, I will. 7. Make significant progress on my novel. I haven’t made a single ounce of progress on this goal either, but this time, I’m deeply ashamed. Sure, I struggled through a stressful job transition and relocation recently, but there’s no excuse. Bad Book Club Babe, very very bad. 8. Improve during NaNoWriMo. Can’t fail at a goal that hasn’t even started yet! Is it weird to be freaking out over something that’s months away? I swear NaNoWriMo will give me PTSD, but it will be worth it! 9. Attend more write-ins. Technically, write-ins occur throughout the year, not just during NaNoWriMo–or so I hear, since I haven’t attended any in 2015. However, a friend of mine sent me information about my local Shut Up and Write! chapter, so that might be the motivation I need. 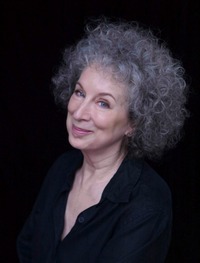 I will share all the details tomorrow, but I just wanted to say that even though I’m not making as much progress with my goals as I would like, the fact that in a couple months I will be in the same room as Margaret Atwood means I already declare 2015 a major success!